In Need of HVAC Contractor in Mequon, WI? No matter where you live or what kind of home you live in, you rely on your HVAC system to keep you comfortable all year long. You trust your air conditioning system will keep you cool when the days get hot and the nights get uncomfortably warm. You rely on your heating system to keep you warm on the coldest night of the year, and you expect your HVAC air filters to maintain clean air and help you breathe easier. In Mequon, WI, the overall temperature of the city is moderated by Lake Michigan. This causes temps to be cooler in the summer and warmer in the winter. But as a resident of Mequon, WI you know how cold the nights can be, and how unpredictable and surprisingly hot the summers can be. That means you need to care for your HVAC system before it breaks down, leaving you sweltering in the summer heat or shivering on a cold Wisconsin winter night. When it comes to keeping your air conditioning and heating system running its best, experience counts. You don’t want to trust your Mequon home to just anyone - you need a company that has the experience and expertise needed to keep your system in tip-top shape. Contact us for your heating and cooling needs today at (262) 677-3477. Jackson Hardware Heating and Air Conditioning is your Mequon area HVAC expert, providing area residents with exceptional service for more than 27 years. Throughout the decades, we’ve built a reputation for reliability and top quality service throughout Ozaukee County. Our reputation speaks for itself, and more than half of our new customers come, not from advertising, but from referrals. That word-of-mouth advertising is impossible to buy, and speaks to our quality, dedication and our nearly three decades of experience. 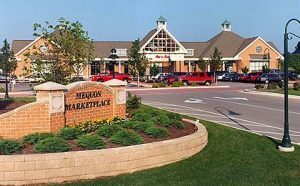 If you have lived in Mequon for some time, you know that while many outsiders think of Wisconsin as a relatively cool place, it is not uncommon for summer temperatures to reach into the 80’s or 90’s. At the same time, winter temperatures routinely dip into the single digits and even below zero temps, enough to put a strain on even the most robust heating system. Jackson Hardware Heating and Air Conditioning is proud to offer a full range of services to Mequon area residents. Whether you need a simple tune-up or a full replacement, we can keep you comfortable all season long. At Jackson Hardware Heating and Air Conditioning, our partnership with Lennox goes back to 1919, when we first became an authorized Lennox dealer. That unique partnership has helped us to become the heating and cooling Mequon expert in the area. Our professional technicians bring their decades of experience to every job. Every technician on our team is factory trained, professionally uniformed and ready to make the needed repairs fast and to your satisfaction. But don’t take our word for it - our glowing reviews are a testament to the quality of service and expertise we deliver. When your air conditioning system breaks down on a hot summer day or your furnace stops working on the coldest night of the year, you cannot afford to hire an inexperienced heating and cooling company in Mequon. When comfort is on the line, you don’t want to hope you’ve selected a qualified company, you want to know. Whether you need emergency service in the middle of the night, on the weekend or just a quick tune-up for your furnace or air conditioning unit, we have the expertise, the experience and the dedication to get it done. No matter what service you need or when you need it, you can rely on us to keep you, your family and your home comfortable all year long. Providing heating and cooling services to Mequon residents is an essential part of what we do, and our expertise shines through in everything we do. For priority service or emergencies, you can reach us by calling (262) 677-3477. We are available 24/7.